A total of 13 (4 under 12’s) players arrived to participate in the February event where the majority were fortunate enough to have a taste of the grand prix in January and the buzz of the subbuteo games had strongly carried on a month later. 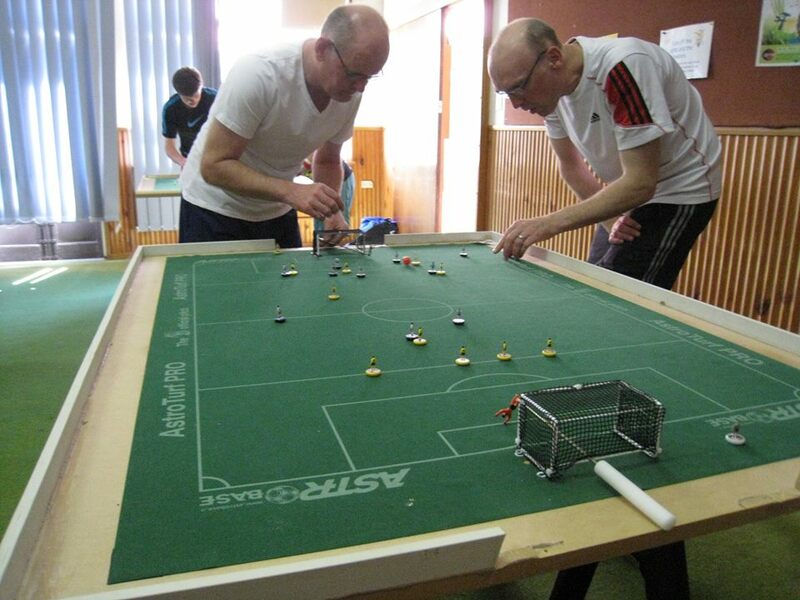 This resulted in recruiting newcomers and former players coming back after a lengthy absence from the subbuteo scene. Group A was seen as an unwanted ‘group of death’ consisting of Carl Young, Benny Ng, Paul Mercer and Luke Radziminski who have all had the experience of winning tournaments in the past so it was to no surprise tough, heated battles throughout the afternoon with Carl Young taking maximum points however. In Group B, Benji Batten made a clean sweep from lower ranked opponents as expected and met Benny Ng in the semi-final, where it became a goalless draw however Benny came out on top with a the final score 1-0 in the penalty shootout. A shootout where it really became a Russian Roulette-like scenario where it could have been either player’s day. It was down to luck, correct guessing and positioning of their goalkeepers and it was only a matter of time until 1 goal would have been suffice to go through into the final. The Under 12’s had a set of random results compared to the previous meet up in the Melbourne Grand Prix, which proves that each participant are on similar skill level which enables a maximum amount of positive experience spread out to all four players. Gabriel knew that Benjamin has had a bit more playing experience under his belt but managed to win 1-0 in another tight contest on the day, scoring himself a $10 voucher at Mind Games Brighton as a reward for winning in the final. Carl Young on the other hand had an easy game against Dillon Izon coming out 6-0 victorious, however, keeping in mind it was a tough match against Benny first time round by a one goal victory, and it was going to be yet another predictable tough affair. Both players scored exquisite goals and it went into the penalty shootout where Carl had won 3 goals to 2. It was a game where people had thought Carl may have finally become overthrown from the top spot in the WASPA scene here in Melbourne where he has dominated in each event he has entered. But for now it will be back to the drawing board for each player to learn from their mistakes and practice some more flicking and reach the bar which Carl has set up so highly for those who have only started playing actively between now and 2 years ago. 2014 winner of the February cup, Luke Radziminski was not able to maintain his form since his January WASPA Grand Prix Victory this year, slumping to a 7th place finish in the February tournament. This would conclude that Luke was not able to chip the ball on a 36 degree sunny day in Brighton. Click here to see the results spreadsheet. 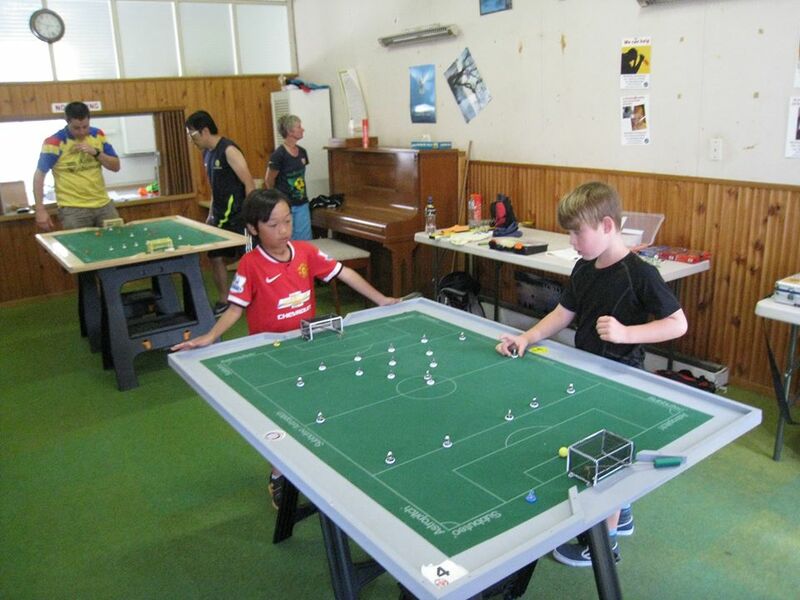 Melbourne Table Football Clubs next event will be played on Saturday March 21st at the Brighton Church of Christ. Interested Players can Contact Luke Radziminski. 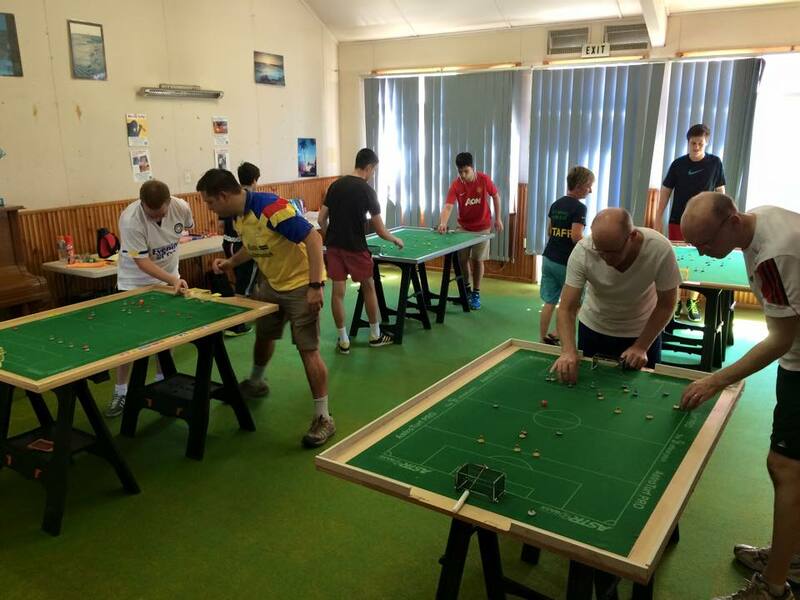 This entry was posted in News, Tournament reports on 24/02/2015 by subbuteomelbourne.